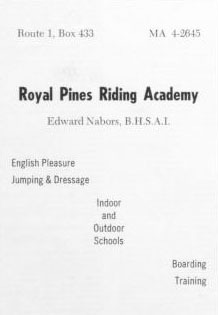 English pleasure, jumping & dressage. Indoor and outdoor schools. Boarding and training.